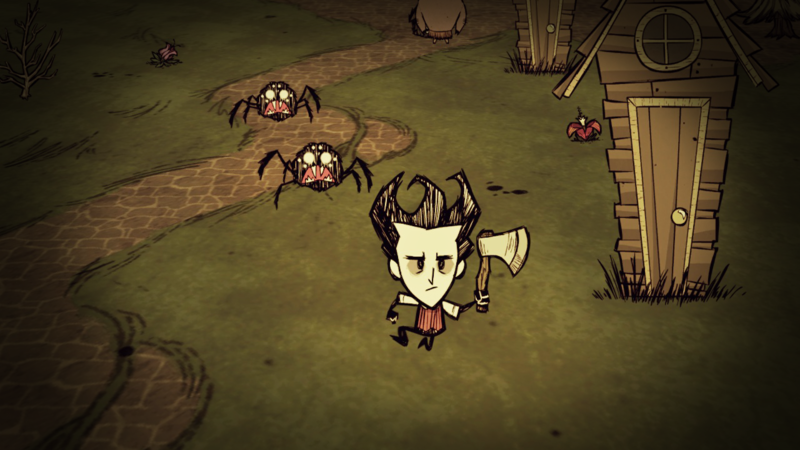 Don’t Starve is a brutally challenging game that pits you against mother nature in a world where everything is trying to kill you. Knowing how to survive in the game is important, especially considering that once you die, any progress you’ve made in the game will be wiped forever. So what do you do now that you’ve been dropped off into this hostile new world? 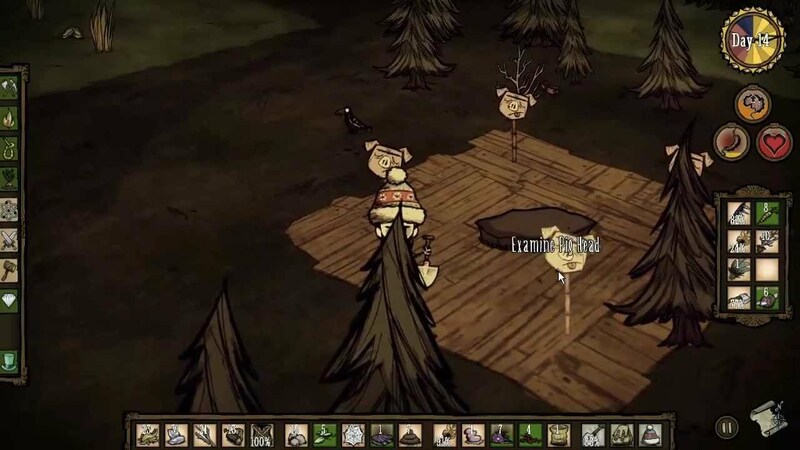 We’re going to give you a basic survival guide on how to stay alive in Don’t Starve. The very first thing you’ll do in the game is collect supplies. 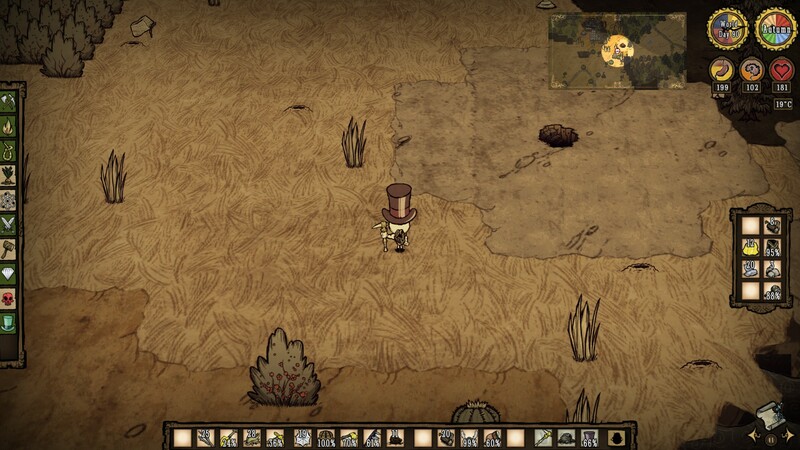 The items you want to harvest first are twigs, grass, flint, flowers, and food. By combining twigs and flint together, you will be able to craft an axe that is needed to chop down trees and harvest wood. Be sure you prioritize building your axe and collecting enough firewood and flint to light a campfire before nightfall, because in the dark… you die! A good tip is to build your campfire away from enemies, preferably next to a good circle of supplies that can be harvested while you wait for morning to arrive. 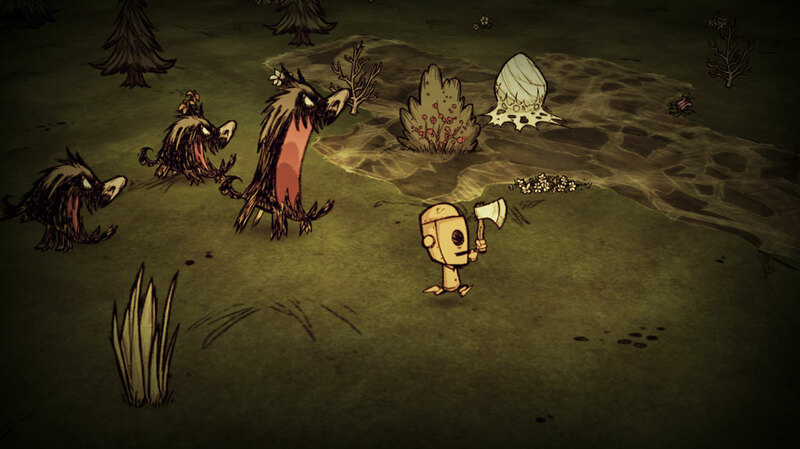 Standing next to your campfire is one of the best times to feed Wilson, as you can cook food items over the campfire. Additionally, it’s also a great time to shuffle through your inventory and craft any additional items you might need before morning finally arrives. Something to keep in mind… not only is your inventory space limited, certain items will gradually begin to expire. You need to gather certain resources like flowers sparingly, otherwise you will end up wasting them. The main items you will craft in the game are an axe, pickaxe, shovel, and clothing, among other things. It’s important to prioritize what you craft, because the more you use an item the more it will wear down. Additionally, certain clothing (like the flower hat for sanity) will decay over time and will eventually need to be replaced. One of the best things you can craft for yourself in addition to the basic items is a backpack. A combination of grass and twigs, the backpack will expand your inventory space, giving you much-needed room to carry around items. This is especially true once you’ve settled on a place to put your base camp, which we’ll get into in the next segment. While you’re wandering around gathering resources, you should actively scope out the area for a good place to put down camp. The first way to set up camp is by constructing a fire pit, which will display on your mini-map, thus ensuring you can always find your way back to where you left your items. Ideally, you want to be in an area where you can plant berry bushes, saplings, grass, trees, and other harvestable items. 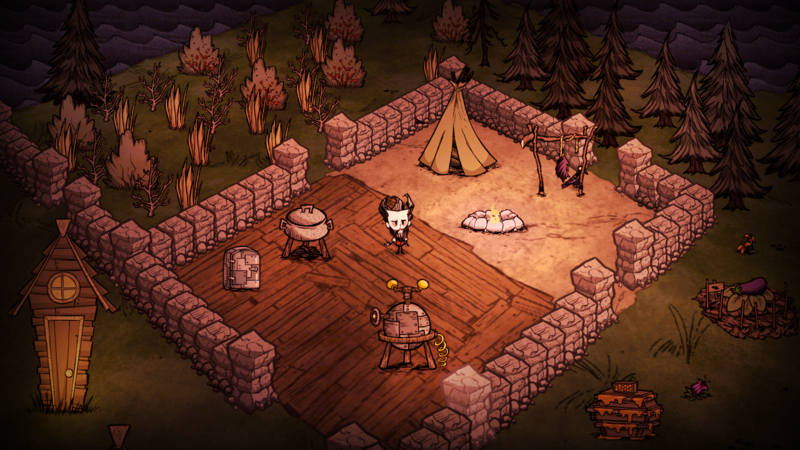 We recommend setting up camp next to any beefalo you will find. Their manure is critical to being able to fertilize plants. In addition, they’re located in the dry grass areas where you will find several rabbit holes. Putting your base down next to these rabbit holes and building traps is a great way to gather food. In addition to a fire pit, you are going to want to build a science machine and a chest to store items you don’t need. To build a science machine, you will need to gather gold by breaking down rock formations (the ones with the lines running through them) with your pickaxe. After you build a science machine, you will be able to unlock the ability to refine wood into boards and construct a chest to store your items. Don’t put the chest too close to your fire pit or anything else that might be flammable. Additionally, put your torch away before you go to open the chest, because accidents do happen… and that chest will burn along with all of your possessions inside. Speaking of burning, another good item to have at your base camp is a crockpot. Once you’ve built your science machine, you will also be able to unlock the ability to build a crockpot and cook better food that will keep you full longer. In order to build this crockpot, you will need charcoal and the only way to get charcoal is to set trees on fire. Be careful while you do this! Instead of running up to a cluster of trees and setting them ablaze, try to isolate individual trees until you have the necessary amount of coal. This is a tricky one considering that practically everything in this game can kill you. However, some animals drop better supplies than others. If you’re going to battle it out with the wildlife, we suggest crafting a spear and a basic form of protective armor (note that equipping this armor will require you to drop your backpack temporarily). Once you have your armor and spear equipped, you can whack the wildlife with the spear until they perish. Keep in mind that not all wildlife will remain still during this process, so be sure to be on the move instead of standing in one place taking damage. Additionally, learn to pick your battles. It’s not the wisest decision to run into a hoard of angry hellhounds or three nests of spiders at once. Don’t go poking everything you encounter! This will only lead to a quicker death. You do have the option to save your game if you’re getting tired. You can also use this to your advantage if you need to look up information on items like mushrooms, cooking recipes, and how to gather the supplies needed to craft more complicated items. These answers can all be found on the Don’t Starve Wikia, which we recommend using frequently rather than taking a chance and dying in the process. There are only three ways to resurrect yourself if you happen to die: the Life Giving Amulet, Meat Effigy, and activating a Touch Stone. The easiest one on that list is the Touch Stone, which you will randomly encounter as you wander through the game. By activating the Touch Stone you will be instantly teleported there upon death, however the Stone is only usable once. There are often multiple Touch Stones in the game, but they require a fair bit of exploring in order to find them. 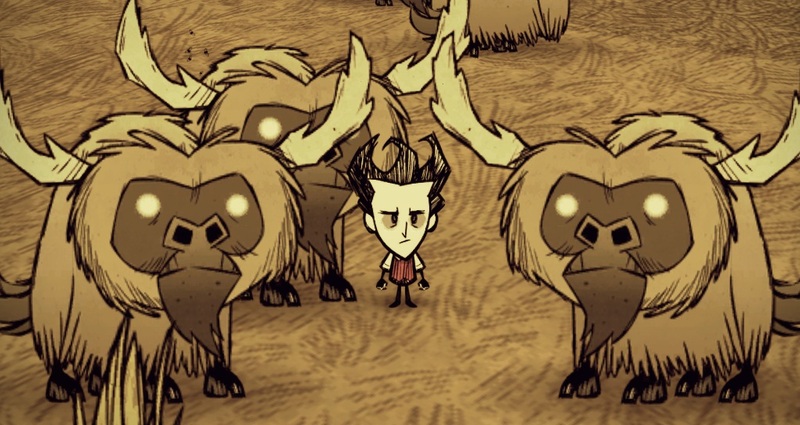 The best way to play Don’t Starve is to play smart. Don’t know what something is? Pause or save your game, then use the Wikia to look it up. Don’t go poking the wildlife. If it looks like it can kill you, it probably can, and most importantly keep an eye on your day/night cycles and your stats. Eat when you’re hungry, keep your sanity up, and don’t let your fire burn out.